Patriot are well known for their flash memory products and DRAM, and like other memory manufacturers, we aren't too surprised to see the 'VIPER' branding (Patriot's gaming/enthusiast line of desktop memory) used on their own line of gaming peripherals. 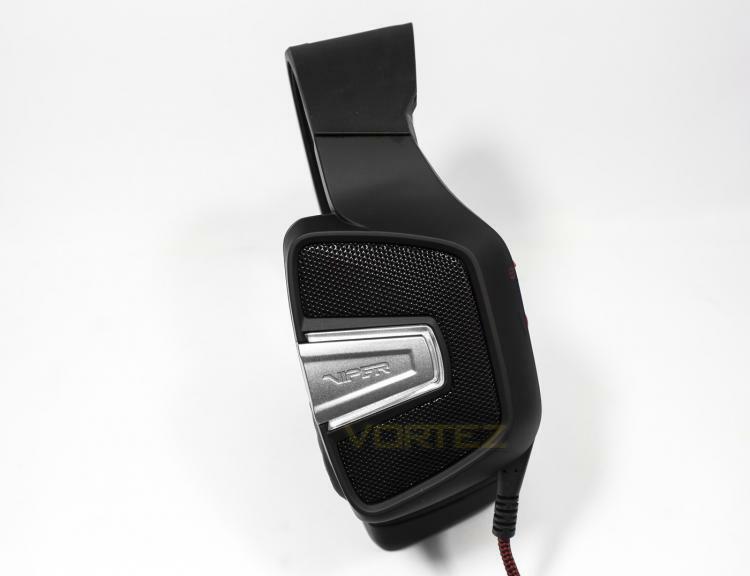 The Viper V370 is a USB gaming headset that features virtual 7.1 surround and RGB LED lighting. There are various other features that aren't all too common at this price point too, including an auto muting microphone boom, an additional pair of fabric earcups to supplement the default leatherette pair. However the real party piece is found internally, as the Viper V370 also includes 30mm sub-woofer units, which can be enabled anytime by using the onboard switch, to aid the 40mm neodymium main drivers for that extra bass kick when desired.